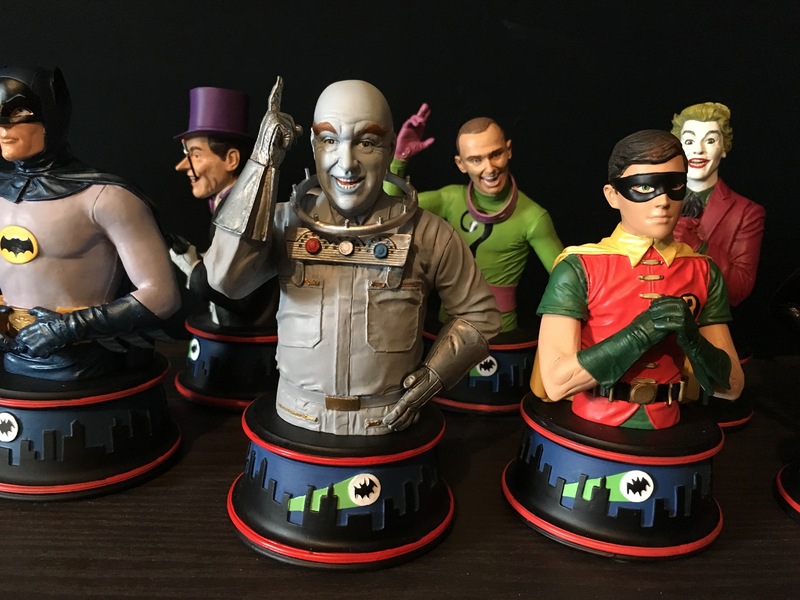 Why did I pick now to post this installment of BUILDING BATMAN ’66, our behind-the-scenes look at Diamond’s mini-busts? Well, because I just included Otto Preminger’s episode in our 50th Anniversary BATMAN ’66 TOP 13 EPISODE COUNTDOWN (click here). More than anything, it’s Preminger’s look that sells the character — and it’s a look that designer Barry Bradfield and sculptor Jean. St. Jean carved with icy precision. I’ve been very complimentary toward this line but Mr. Freeze takes things to a new level. 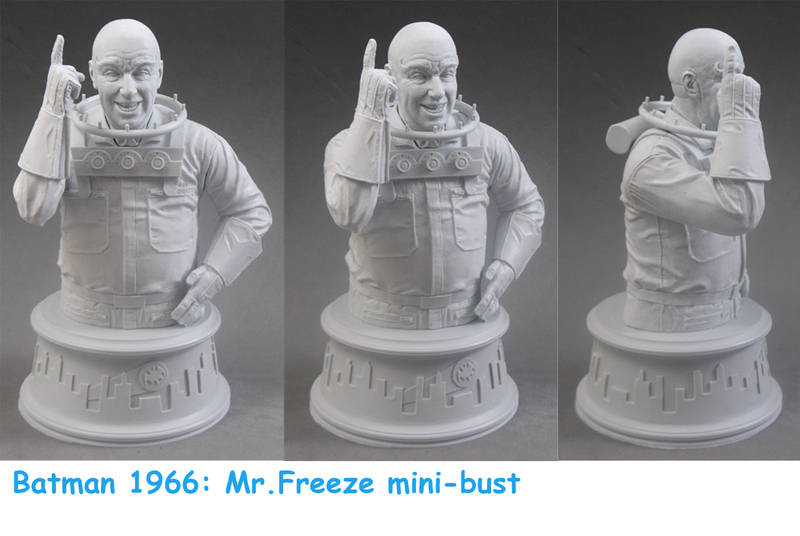 Not only do these artists capture Preminger’s flamboyant style, they nail the tiny details of his freeze collar and control panel. And his likeness is superb. Part 7. The Penguin. Click here. Part 8. The Riddler. Click here. Barry Bradfield: Because it’s wild! No, really, when I knew it was the Otto Preminger version of Freeze we were going to be doing, the pose had to be him saying “Wild!” The day after that episode “first” aired when I was younger, a number of us were stroking our eyebrows and saying “Wild!” all day. I’m sure we probably drove our teachers mad with that. Jean St. Jean: This pose is great because it’s the classic, “villain lectures the hero and reveals his whole plan while the hero plans his escape” scenario. Dan: Otto Preminger’s look was so striking and makes a great bust. But which of the three Mr. Freeze episodes is your favorite? 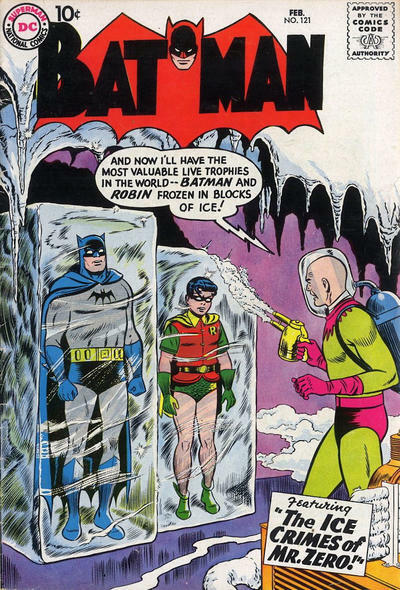 Barry: I really like the Preminger episode, but I think my favorite Freeze moment is the fight between all the fake Freezes and Batmen in the first one. In general, I liked the earlier episodes that were based on comics. It was great to see them adapt stories to television in their own way. 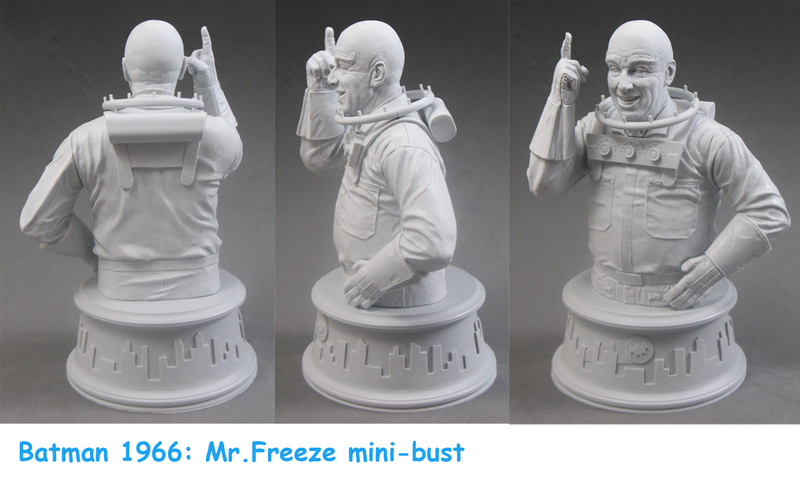 I’m actually surprised they used Freeze (née Mr. Zero) since he was a very recent addition to the comic books at the time. Jean: I always liked Instant Freeze (the George Sanders episode), I love the look of the helmeted Freeze and finding out the origin of the ice-cold villain. Dan: How many times did you say “Wild!” when designing this one? Barry: Too many to count! When I was in school for hand-drawn animation, we had a day where we were told to make sound effects while drawing. It was an exercise in getting into the drawings more to bring out the action of the picture. (Oddly, it does help sometimes.) Luckily, I work alone from home, so I didn’t feel foolish saying “Wild!” over and over that day. Jean: Ya gotta love that ’60s hippie lingo! NEXT: A sculpture that will make you purrrr. Disappointing!! My favourite Mr. Freeze is Eli Wallach. I guess they went with first original actor to choose the likeness, which is Otto Preminger. Instead I will buy Egghead, just because of Vincent Price. Actually, the original actor was George Sanders. 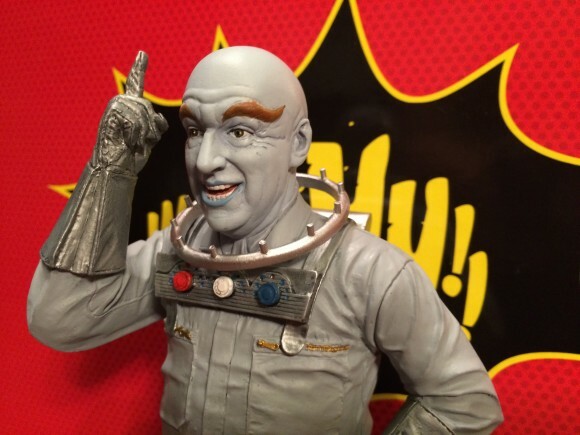 They went with Otto Preminger because that is the only approved likeness. Preminger had actually directed Sanders in “Forever Amber”.